I started in the financial services industry in 1985 working at the head office of an insurance company. Here I administered life policies, bonds and was a life underwriter for a short period. I then trained to be a financial adviser dealing with investments, pensions and mortgages. After a year I joined a local estate agent to become a trainee mortgage adviser as mortgages became my main interest. 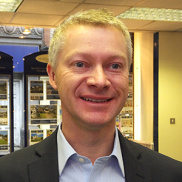 In 1996 I joined Bradleys as an Independent Mortgage Adviser based in the Exeter office. I am looking forward to the future with one of the best estate agents in the country. For mortgages we can be paid by commission, or a fee of usually £250 or a combination of both.